1. My current mouse, a Logitech MX510, was old and showing heavy wear. 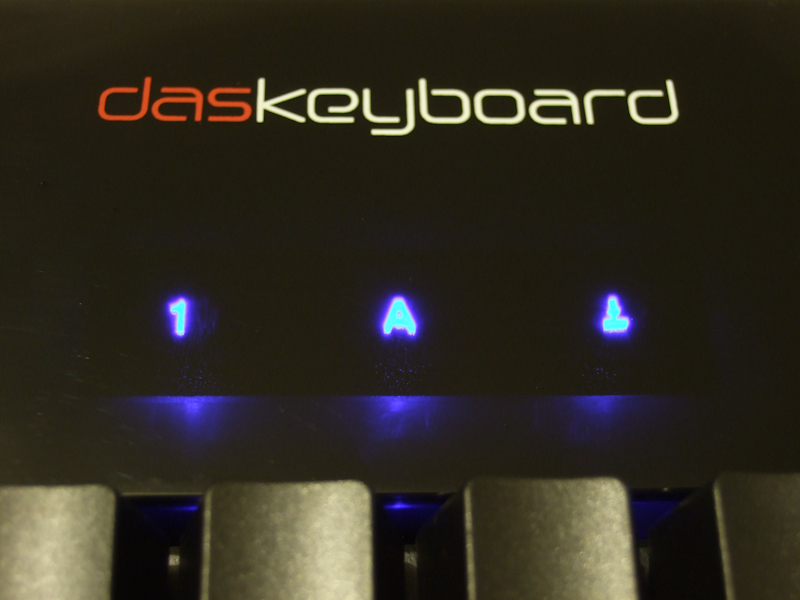 The mouse feet are falling off, the logo and thumb rests are wearing away. 3. This mouse has 1000 Hz polling for even better response. 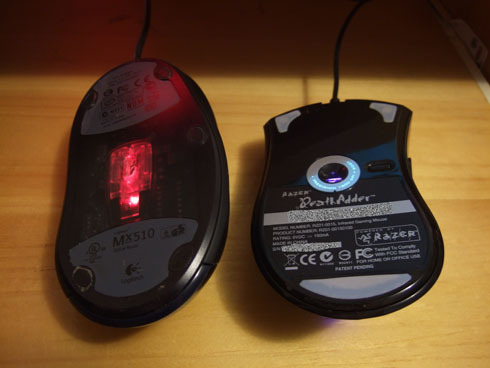 This side by side comparison shows that the two mouses are about the same size. 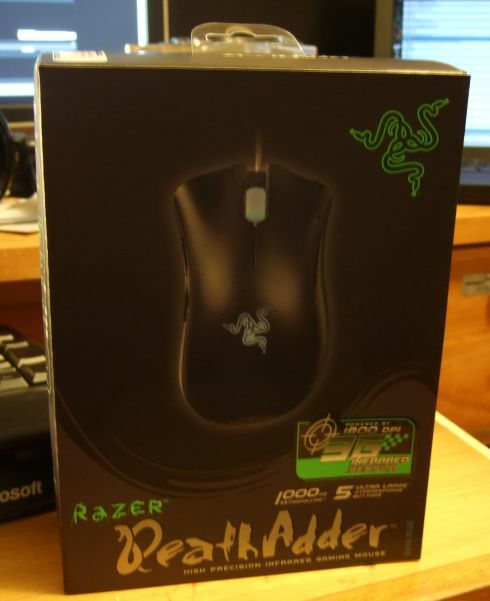 Though in my hand, the DeathAdder feels much larger because there is no recessed groove for the thumb. One thing to note, the mouse cable is so wimpy compared to my MX510. Too bad they didn’t follow Logitech and use a braided cable like on the G5/G7 series. 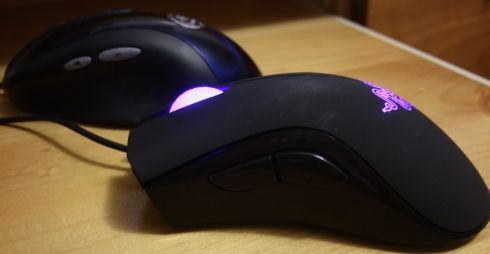 The mouse wheel moves very smoothly with less tactile clicks and much less noise than the MX510. The feet on the DeathAdder leaves much to be desired. They are VERY thin and it feels like the mouse body is scratching on the surface of my desk. The red glow of the optical sensor is also very dim compared to the MX510… the third generation infrared sensor in action. 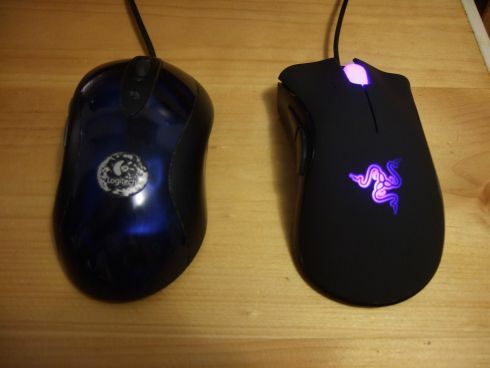 The curve of the mouse body is enough to make it feel different. There is no feeling of loose mouse buttons like on the MX5xx series, where the plastic body floats over the actual switch mechanism. There is no groove for the thumb, but there are for your index and middle fingers. The smooth thumb rest is a little odd because for some reason I developed a habit of rubbing my thumb to make sure I get a good hold on the mouse. I rest my palm on the mouse, so I have a feeling that the rubberized top (the same material on the thumb/pinky rest of the MX510) is going to wear off very fast. On the software side of things, it was easy to setup. Plug it in, install the drivers and reboot. I had to drop the Windows sensitivity down to tick 3 with 1800 DPI to get it to have a similar sensitivity to my old MX510. Also I managed to disable the glowing wheel and logo in the drivers. It sounds very hollow when I pick up the mouse and drop it back on the desk, but the weight is about the same as the MX510. The mouse clicks are sharper, and the thumb button clicks are fuller and louder. I wish there was side scrolling. Those are the only complaints I have about the mouse so far. I have yet to game with it, but I’m sure I’ll get used to it soon. I’m already getting used to the lack of high pitched squeal… it’s so much more comfortable!